Join us for the 20th Annual Native Hawaiian Education Association Convention on Monday, March 18th and Tuesday, March 19th at the University of Hawai‘i Maui College. Download and explore the convention program on your phone or ipad/tablet through the guidebook free mobile app: Convention Program. Our team will notify you through the guidebook fee mobile app of any changes or updates throughout the two days. We encourage all convention participants to utilize the convention program mobile app. For those who will need assistance, we have our team ready to provide tech support at the registration area. Registration will open at 8:30AM on Monday, March 18th at the Pā‘ina Dining Hall, UHMC campus. See map or guidebook free mobile app for directions: UHMC Campus Map OR Convention Program. 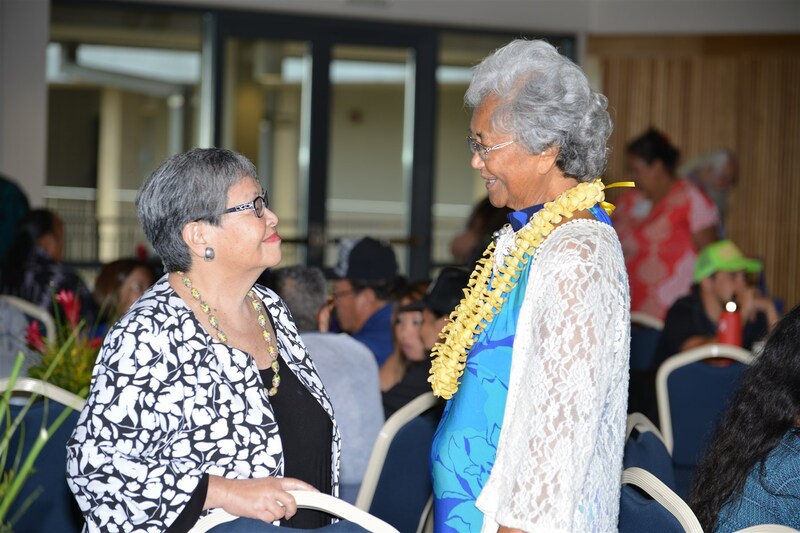 This year the Native Hawaiian Education Association will honor UHMC professor Kahele Dukelow and UHMC associate professor Kaleikoa Ka‘eo as the 2019 Educators of the Year. The honorees will participate in a panel presentation facilitated by Papaikanī‘au Kai‘anui , EdD. Day I afternoon panel presentation on K-12 education will feature former Educators of the Year, Puanani Wilhelm, Kaleimakamae Ka‘auwai and former Hawaiian immersion student Hemakana Yam-Lum. This panel will be facilitated by Welaahilani Wahilani. Convention participants will spend the rest of the afternoon engaging in Loina Hawai‘i workshops such as lomi, kapa, pahu, and more. Day II will begin with workshop presentations from various Native Hawaiian scholars and organizations. The morning panel on higher education will be facilitated by Loea Akiona, EdD. Panel presenters and former Educators of the Year will include David Sing, PhD, Gail Makuakāne-Lundin, Lui Hokoana, EdD, and Judy Oliveira, EdD. NHEA Convention will close with the opening of the He Au Honua Indigenous Research Conference, keynote by Hōkūlani Holt and Ulalia Woodside, followed by a lū‘au and entertainment. Vendors in Hawaiian arts and crafts, weaving, apparel, carving, jewelry etc. will be invited to purchase space to exhibit and/or sell their products to participants of the conference. Our aim is to provide a marketplace of indigenous authentic items and provide the opportunity for artists, practitioners, and arts organizations to expose their skills and capabilities to a national and international audience.